German men are unique species. Usually, men are not easy to handle, but German men beat them all. It requires deep understanding of their nature, and the cultural differences, in order to survive a long-term relationship. Don’t worry! We are here to advise and support!! 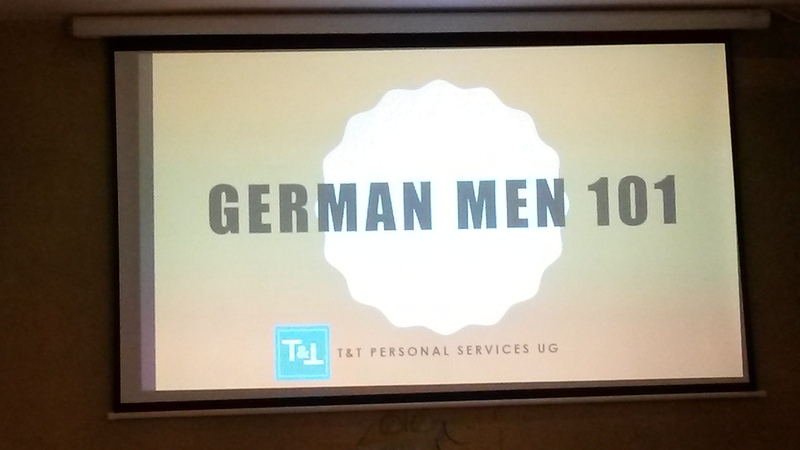 After years of dating German men (including getting married to some of them), we offer our knowledge and experience to help others. You are not alone!! We will have an overview and explanations for the most common and weird habits we observed through the years, ask questions, get answers and share war stories. Come to reveal the mystery! It sounds like a bunch of mad Eastern European women mistaking mad Eastern European men for lovely German men. People asked us if the event is real. So, yes, it is We are looking forward to see you tomorrow! Men were not allowed “due to the sensitive topics” so I left Manfredas (chuckling gleefully at the things I do for this blog) and stepped out into the night. Around 20 minutes later, I arrived at the venue looking like a drowned rat and dripping onto the registration table. I paid my fiver (yeah, I know…), got a stamp to indicate my betrayal of the German men I love and hit the bar. I said a mental “thank you” to the Big Guy and got a glass of wine, scouting the room for the seat closest to the snack table. I may have seen it all now. Comfortably seated, I leaned over and spoke to the rather beautiful girl beside me. Me: So, have you had terrible experiences with German men? Maria: Oh God, yes! So many! Maria: Oh, this one time, I was on a date in a restaurant and the guy told me that I was being too loud and everyone in the restaurant was looking at us and it was very embarrassing for him. Me: Bah haha! I guess that was your first and last date! The room had filled up a bit and now there were around 20 women – and one guy. The Israeli woman hosting the event said that she had “allowed him” to be there as he was a journalist. Needless to say, he looked more and more depressed as the evening wore on. Suddenly, the screen was filled with my new (Brazilian, as it turned out) friend, who had made a video bemoaning German men’s inability to flirt. This was met with groans of approval, nodding heads and rolling eyes. German men cannot approach women or flirt, it seems. 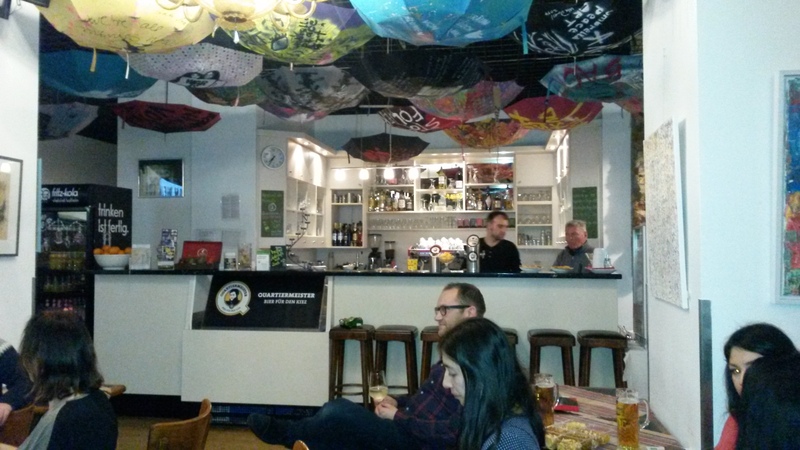 The host, Tal, explained that this is because German men are both “afraid and respectful”. And, as only 17% of German men use dating apps, “you have to hunt them outside – you have to be creepy”. I began to feel very, very sorry for German men. If, however, you do manage to ensnare a German man (insert evil cackle here), moving in together will present a whole new set of issues. A German man’s idea of moving in together is that you move in with him and he clears you a shelf. The more serious it gets, the more space you receive. This, however, is not as easy as it sounds since German men hoard everything they’ve ever owned since they were babies. Me: Hey Manfredas, do you have any trophies from the fourth grade? Manfredas: Erm, no. 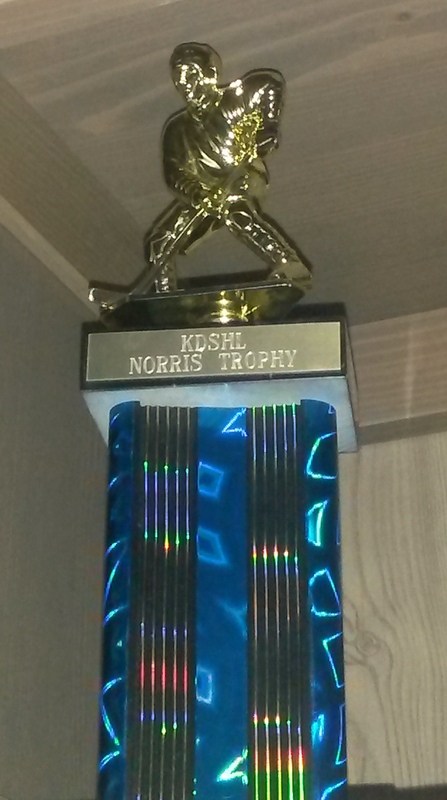 I do have a hockey trophy from 2007, though. If joint shelves are an issue, you can imagine how German men feel about joint bank accounts. NEIN! Jane: Hey honey, are you inviting any friends from work to the wedding? Jannes: I do not have “friends from work”. They are COLLEAGUES! COLLEAGUES ARE COLLEAGUES, FRIENDS ARE FRIENDS!! Some other choice words used to describe German men during the evening were: negative, pessimistic, passive, logical, private, over-insured… they also like a drink or seven but that’s not so different from Irish men (or women) so I’m alright with that. Apart from the last point, it was like listening to someone describing people from another planet. If men really are from Mars, then most of these women were from TrES-2b (yep, it’s a real thing – Google it). I’ve been chatted up by an Irish guy with the line, “your eyes are the same colour as my tractor”; I dated (for a short time) an English man who thought that we could visit each other using “the bridge between England and Ireland”; I had a Polish man hit on me in my kitchen while his wife was in the other room… So yeah, I think I’ll stick with the Germans, weirdness and all.